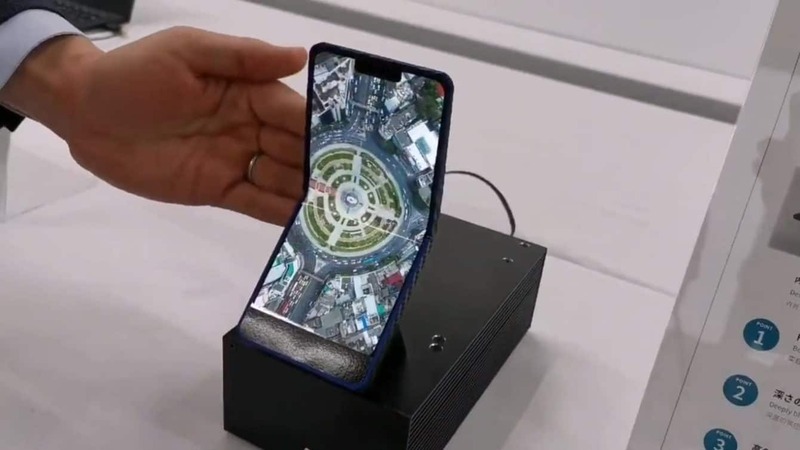 The Japanese manufacturer offers a form factor that folds out to reveal one big screen and it looks like folding the device completely will protect the display from scratches. The Sharp foldable phone still has a notch, though, so it doesn’t feel like such a futuristic a concept. Sharp is using OLED technology and that the screen has apparently passed 300,000 folding tests. By comparison, Samsung claims it’s put the Galaxy Fold through 200,000 folding tests. Somewhat disappointingly, the Japanese manufacturer is only looking to bring a commercial product to market “in a few years’ time.” That’s a pretty long time to wait when the first foldables are set to drop soon. Huawei and Samsung are set to release their foldable phones in the coming months, Motorola in summer, and Xiaomi and Oppo working on devices too. So it seems like a risky move for Sharp to wait a few years when other brands will already be on the second generation of foldables. The prototype might not be a pure consumer play though, as the company is a screen manufacturer too. The firm has traditionally been an LCD manufacturer, having only made the jump to mobile OLED in October 2018. This device could signal to potential clients that it’s ready for foldable phone business. Copyright © 2019 SMT Global.